Welding Book is an infrastructure project management software that deals with the production and the inspection of plant welds and related activities, such as heat treatment and nondestructive examinations. The monitoring comprises all the construction cycles, prefabrication and installation. Furthermore a complete and powerful set of production reports is provided. Fast implementation and quick learning curve thanks to the user-friendly interface based on Microsoft© standard UI look and feel. Through Welding Book you will be able to trace every aspect of each weld, associated NDT and welders, with a complete monitoring of every other project detail. A comprehensive set of reports and real-time information will improve project quality and reduce costs; furthermore, thanks to its modular architecture, custom reports are also available. Heat numbers and certificates can be recorded in order to issue traceability reports. The welder management section allows the Company to store welder information, categorize and group welders, track defect rates and issue production reports. 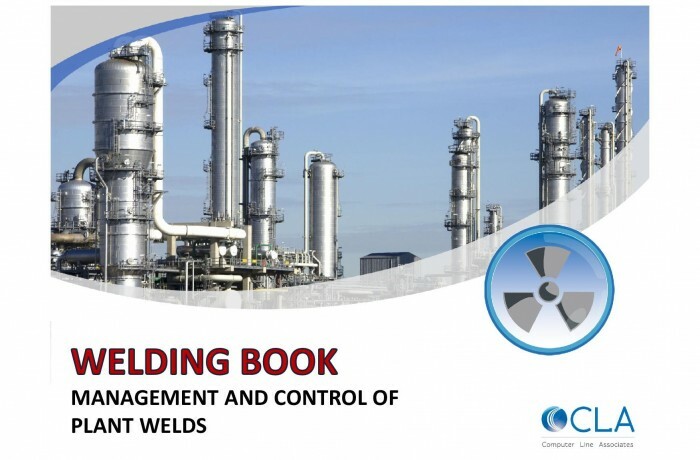 Many reports are already built into Welding Book and Users have the ability to generate reports through a powerful filtering system; Welding Book can reduce project documentation costs by up to 70%. Scalable and multi-user architecture, independent from the relational database vendor: the supported platforms are Oracle©, Microsoft© SQL Server and PostgreSQL©; other databases which are currently not enabled can be quickly implemented. Fully integrated with Puma5 and Cosmo5 using the same piping classes, isometrics and spools or, alternatively, these can be imported from any other material management system exporting plain text or Microsoft© Excel™ files. Spools and welds identification number can be imported from piping spool systems like Intergraph© SmartPlant™ Spoolgen™. Easier data exchange with sub-contractors thanks to the export of easy-to-use templates in Microsoft© Excel™ format that can be filled in and subsequently imported back into the database. The application can be installed in a centralized location and distributed through the web by using technologies such as Citrix© Metaframe™ or Microsoft© Terminal Services™.